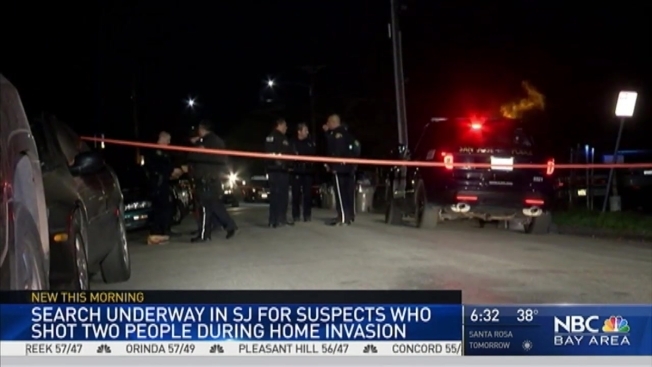 San Jose police are investigating a late night Wednesday shooting in East San Jose where two men suffered at least one gunshot each. Sgt. Albert Morales said shortly after 10 p.m., officers found two men inside a home in the 1100 block of Peach Court suffering from gunshot wounds. No suspects are in custody at this time and the victims suffered non-life threatening injuries. Morales said it appears as though two unknown men had forced their way into the home with guns before they "exchanged words" and then shot the pair inside the home.